North Holland (Dutch: Noord-Holland [ˈnoːrt ˈɦɔlɑnt], West Frisian: Noard-Holland) is a province in the northwest of the Netherlands. It is situated on the North Sea, north of South Holland and Utrecht, and west of Friesland and Flevoland. In 2015, it had a population of 2,762,163 and a total area of 2,670 km2 (1,030 sq mi). 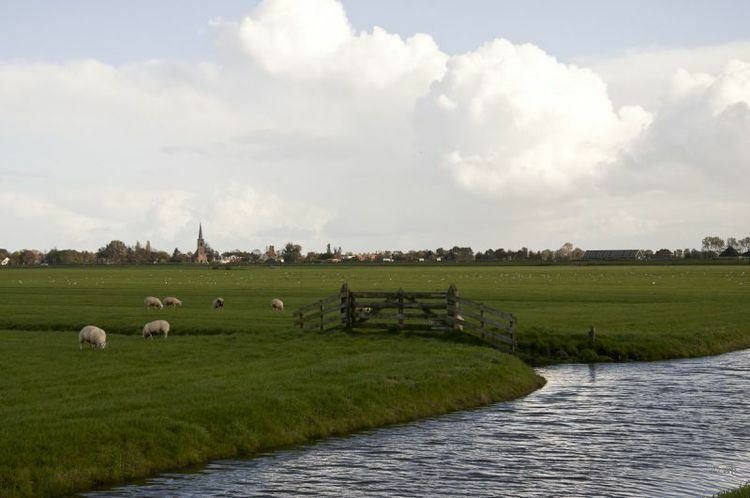 From the 9th to the 16th century, the area was an integral part of the County of Holland. During this period West Friesland was incorporated. In the 17th and 18th century, the area was part of the province of Holland. At that time, the distinction between the Noorderkwartier (Northern Quarter) and the Zuiderkwartier (Southern Quarter) became common. 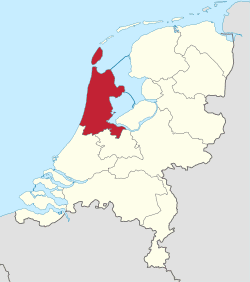 In 1840, the province of Holland was split into the two provinces of North Holland and South Holland. In 1855, the Haarlemmermeer was drained and turned into land. The capital and seat of the provincial government is Haarlem, and Amsterdam, the Netherlands' capital city, is the province's largest city. The King's Commissioner of North Holland is Johan Remkes. There are 51 municipalities and three (parts of) water boards in the province. In 1212 Noord-Holland suffered a large flood which killed 60,000 people. North Holland is situated at 52°40′N 4°50′E in the northwest of the Netherlands with to the northeast the province of Friesland, to the east the province of Flevoland, to the southeast the province of Utrecht, to the southwest the province of South Holland, and to the west the North Sea. As of January 2016, North Holland is divided into 48 municipalities (local government). After the dissolution of the Netherlands Antilles, three islands in the Caribbean, Bonaire, Saba, and Sint Eustatius, were offered to join the province, though the offer has been neither accepted nor rejected. On 1 January 2015 the municipalities of Graft-De Rijp and Schermer were merged into the existing municipality of Alkmaar. More information about nature reserves in North Holland is available (in Dutch) on the relevant site pages of national nature conservation organisations Natuurmonumenten and Staatsbosbeheer , as well as provincial organisation "Landschap Noord-Holland". Several international nature friendly organisations such as Greenpeace and Amnesty International have settled the head office of their Netherlands branch in this province and particularly in Amsterdam. The international headquarters of Greenpeace is also located in Amsterdam. Several national nature friendly organisations like Milieudefensie, the national "Union of vegetarians", the "Vissenbescherming" (Fish protection foundation) and the Party for the Animals as well have their head office in this province.